We start in Catania and drive westwards towards Agrigento to see the magnificent Greek temples, visit and taste embracing red and fragrant white Sicilian wines. We then move eastwards towards the wonderful Baroque towns of Ragusa Ibla, Noto and Siracusa. We stop and overnight and visit the towns and enjoy the local culture and unique atmosphere. Visits to the excavations and temples are all guided by professional guides. We dine at trattoria’s steeped in local atmosphere and taste typical regional foods, as well as dining at the more creative Michelin starred restaurants – we drink the local wines and meet the top producers. 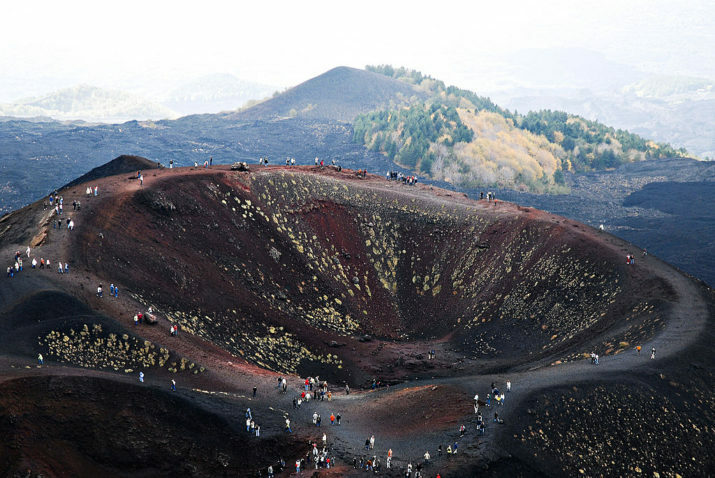 On volcanic Mount Etna we trek to see the crevasses and lava deposits as well as helicopter over the craters. The Nerello Mascalese wines from Etna produce some of the most elegant wines you will have ever tasted!